I always feel like a bit of a mad scientist in the kitchen when I'm making dressings. There are bottles and ingredients all over the counter and I'm mixing a little of this and a little of that until I get the perfect potion. I hit a home run with this one. 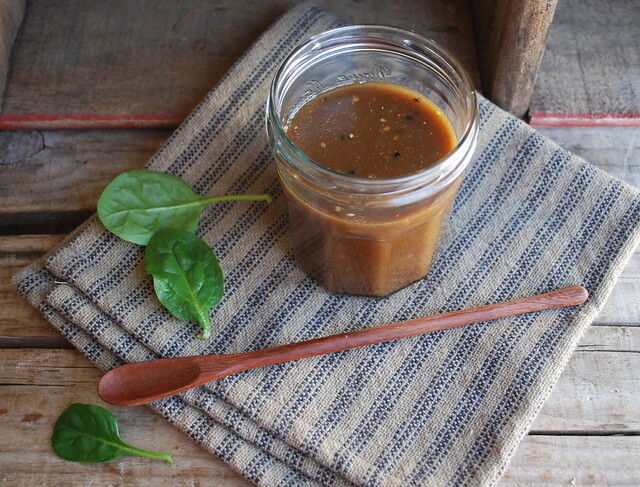 I love balsamic in everything and anything so the addition of it to this dressing was a no brainer for me. I tend to like my dressing a little more on the tangy side, so I have to stop myself from making a dressing so tangy that no one else will want to eat it but me. 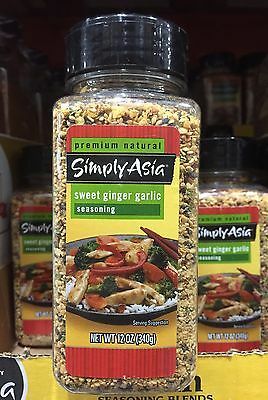 I always have Simply Asian seasoning my pantry, if you don't have it, no worries. 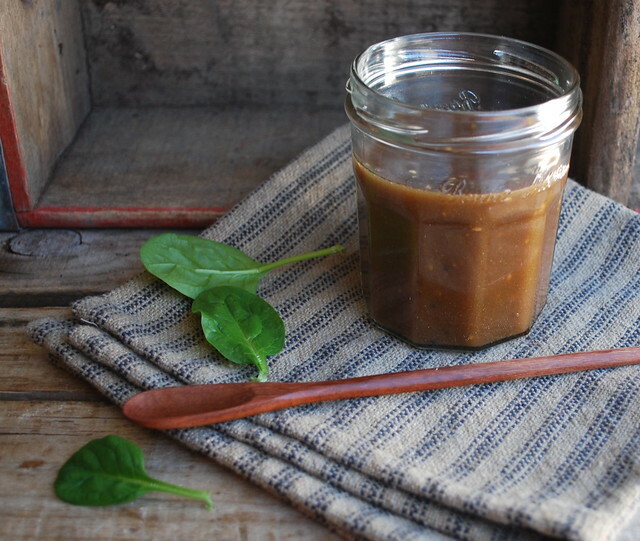 This dressing is just as scrumptious without it. You can always throw a few sesame seeds in for good measure if you have them on hand, or add any kind of spice that you like. Feel free to make this dressing your own. You can also use any kind of light oil that you like and you can substitute the maple syrup for raw honey or even agave nectar. Make it your own! Add a little of this and a little of that, taste it along the way, make notes, and in no time you'll have a dressing perfect for your taste! This should keep in the fridge for well over a week, but probably won't last that long! Put all the ingredients in a jar and shake! Store in refrigerator.